“There is a rise in the perceived value of procurement in the Sub-Saharan region in the public and private sector. CIPS has been working hard with a number of partners and members to raise the profile of this most important of profession,” said Andre Coetzee, Managing Director of CIPS Africa. With risk on the increase around the world, major legislative changes (from ethical to economic) in countries part of the global supply chain we all rely on, will have an impact. Procurement professionals have become the guardians of the enterprise to advise businesses on a range of issues. Organisations have moved from a tactical to a more strategically-aligned procurement function as they take advantage of the efficiencies this can bring. There is also continued development in the technological side of procurement, with investment in more sophisticated sourcing tools becoming prevalent. Candidates with the right mix of technical and soft skills are therefore in high demand. Skills shortages are still affecting many organisations as demand outstrips supply in many areas of procurement. Competition for the best procurement professionals remains fierce, requiring many organisations to review their benefits packages to attract and retain candidates. “A number of employers [are] investing in training and development of their procurement teams - such as offering the opportunity to achieve the MCIPS qualification. Employers able to identify skills shortages in their procurement function as well as adapt their benefits offerings will find themselves in good shape to compete for the best talent in the market,” said Coetzee. Responses to the survey were received from the UK, Australia, Middle East and Sub-Saharan Africa. 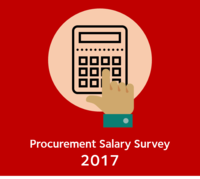 Various levels of seniority completed the survey including advanced professionals (procurement director), managerial (senior buyer), operational (buyer) and tactical (assistant buyer). The guide [link] is divided into sections relating to salaries and bonuses, procurement as a career, and the perception of procurement’s role in organisations.